You are here: Home / Latest News / Uncategorised / Can You Help Us Raise The Roof? Can You Help Us Raise The Roof? 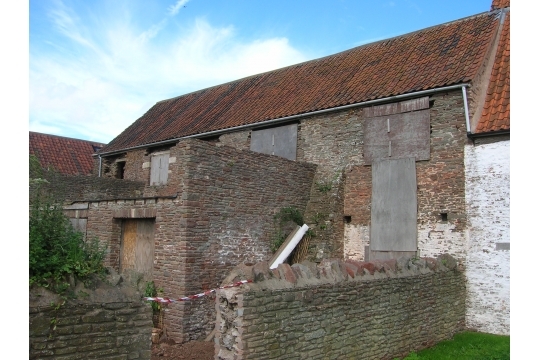 Winterbourne’s West Barn is currently dilapidated and needs extensive restoration. Its roof is made up of 8,500 red clay pantiles which have to be removed, checked and cleaned while the internal structure is repaired, and then placed back on the finished roof. Having almost raised all the funds required to restore the buildings on the site, we’re now hoping that local people will come together and help us raise the roof! This will ensure that the site can be used for generations to come. Please could you help us by sponsoring a tile for just £5.00? And if you can, it would be wonderful if you were able to Gift Aid your donation. Obviously if you would like to sponsor more than one tile we would be delighted. To say Thank You, everyone who sponsors a tile will be acknowledged on our website. Please let us know if you wish to remain anonymous. If you wish to donate, please click here for our Localgiving page. http://www.winterbournebarn.org.uk/wp-content/uploads/2018/01/wintlogowhite500-300x112.png 0 0 Jasmin http://www.winterbournebarn.org.uk/wp-content/uploads/2018/01/wintlogowhite500-300x112.png Jasmin2019-01-13 11:09:032019-01-31 13:09:47Can You Help Us Raise The Roof?